The exhibition opens this Friday at the Mitte venue Alte Münze. The history of ’90s Berlin is one of the most iconic, mythologized and often misunderstood moments in the late 20th century. During this period, the city of Berlin became a nexus of complex geopolitical change as well as a hub for new forms of cultural expression and complex social transformations. This convergence helped produced some of the most symbolically powerful images and sounds in recent memory. This memory has continued to inform and color attitudes in the Hauptstadt in the first two decades of the 21st century. And perhaps most importantly, it has, in many was, shaped the city’s ongoing techno obsession like nothing else. Fortunately for history buffs and techno heads alike, this memory has become the subject of a new exhibition. Starting August 4 and running until February next year, Mitte club Alte Münze will play host to the multimedia exhibition Nineties Berlin. One of the exhibition’s guiding themes is “Techno – Love Parade – Underground.” Focusing on the explosion of new spaces available for creation and action in the city, the exhibition traces techno’s unifying power over the city and Love Parade’s development from a humble gathering to a million-strong electronic music bacchanalia. 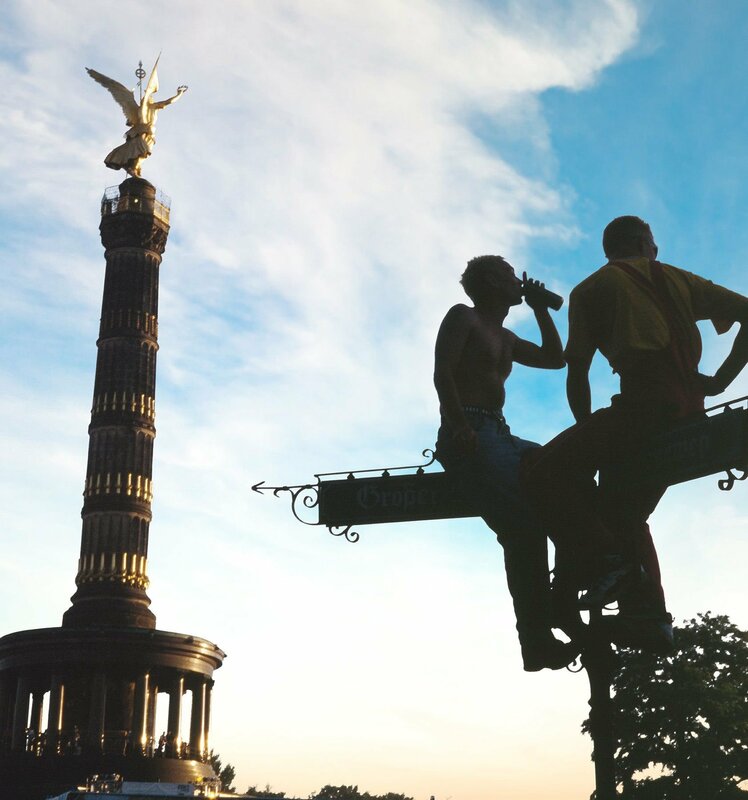 Nineties Berlin will also explore the vibrant art scene that emerged after the fall of the Berlin Wall, squatting culture and the rapidly changing face of the city since its ’90s heyday. To find out more about the exhibition, head to the Nineties Berlin website here. To set the scene for this event, a new podcast 1000 Tage Techno reflects on the sheer impact of techno on society. The podcast is hosted by Jürgen Laarmann, who, among many of his accolades, was the publisher of the celebrated magazine Frontpage and was involved in the organisation of the infamous Mayday parties. In the first podcast, Laarmann considers the difficult problem of placing a date on the birth of techno and sets the scene for why, 30 years after the first Love Parade, we can look back at 1000 days as truly decisive in techno’s explosion as a musical and cultural phenomenon. Stay up to date with all episodes at the 1000 Tage Techno site here.